A photo showing USS Hornet (CV-12) from the starboard side on May 29, 1944, at a Pacific achorage, wearing camouflage 33/3A. The colors are navy blue, haze gray and pale gray. USS Hornet (CV-12) now from the port side on May 29, 1944, at a Pacific achorage, wearing camouflage 33/3A. USS Hornet (CV-12) from the starboard wearing a worn camouflage 33/3A taken by USS Wasp (CV-18) on September 5, 1944, at sea. Photo source: NARA 80-G-284088. USS Hornet (CV-12) is seen taken from USS Wasp (CV-18) wearing a worn camouflage 33/3A behind USS Yorktown (CV-10) on December 5, 1944, in Ulithi Atoll. 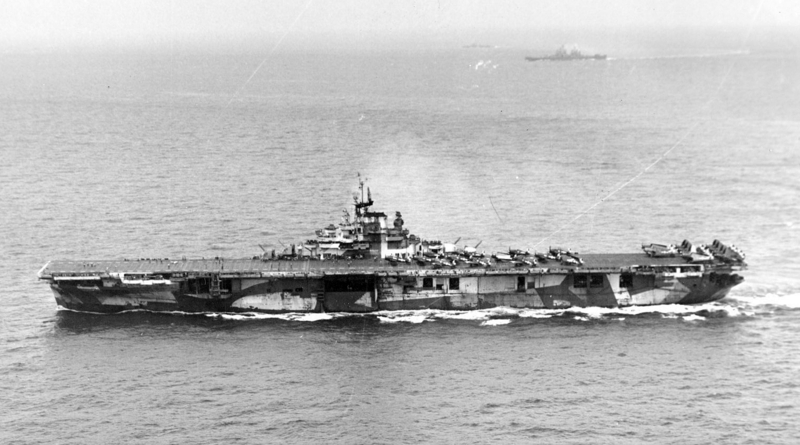 Yorktown is wearing 33/10A and then USS Hancock (CV-19) wearing 32/3A is third in background. Photo source: NARA 80-G-290634. USS Hornet (CV-12) in an aerial view taken by one of her own aircraft still wearing a very worn camouflage 33/3A on May 29, 1945. Hornet has not had enough rest time to repaint. Photo source: NARA 80-G-331633. 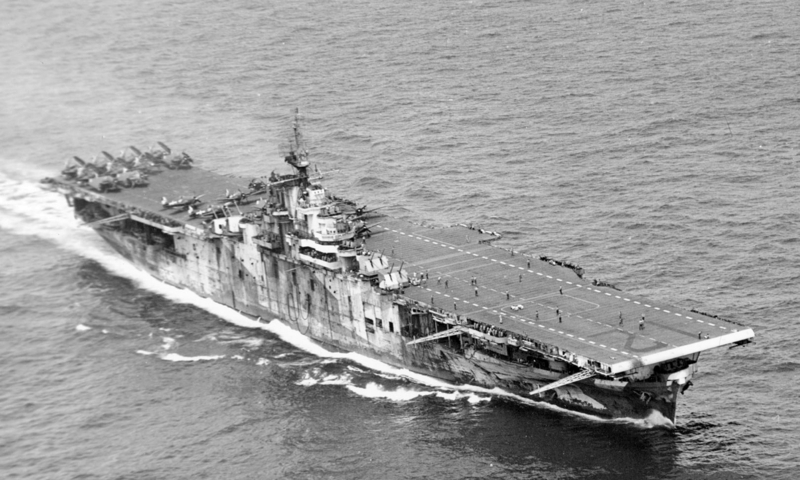 Another aerial view of USS Hornet (CV-12) this time from the starboard taken by one of her own aircraftand still wearing a very worn camouflage 33/3A on May 29, 1945. Photo source: NARA 80-G-331634.